WSUS drive alerting for low disk space? Run this script and go get some coffee! This script is the equivalent of running the WSUS cleanup wizard with all checkboxes checked. Download the script from the Microsoft Script Repository! Cleans up a WSUS content folder. It scrunbs the WSUS content folder for unneeded data. even if Matthew Kerfoot has been advised of the possibility of such damages. Authors notes : I found this somewhere on the internet and adapted it.. not sure where..
# $True means that item will be scrubbed and data will be deleted! Here is a script I wrote to help automate the scrubbing\cleanup of my security camera footage. In its current unmodified configuration, it is set to keep the security_Camera folder on my K:\ drive above 10% free space. This is accomplished by scanning the folding or drive to figure out the used space percentage, if the used space percentage is less than the configured $FreeSpaceThreshold then it will remove the oldest file, rescan, if needed and remove the oldest file again. This will continue to happen until the $PercentageFree is over the threshold. Monitors a folder and deletes the oldest files until the percent free Space reaches the configured threshold. PS:\>Automate-FolderCleanup -Path "K:\Security_Camera" -FreeSpaceThreshold "10"
This script was put together to scrub the oldest files from my security camera footage storage space. $PercentageFree is over the threshold. [int]$FreeSpaceThreshold = "10", # What percentage do you want the drive to free up until? Simply remove the -WhatIf from the last line to allow processing if the script is run with -WhatIf it will run the script but won't actually make changes it will just give you a verbose output as to what it would do if the -WhatIf switch isn't specified. 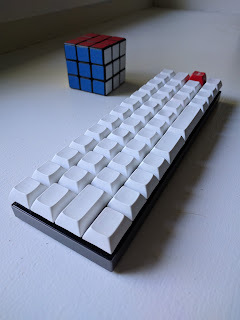 A month ago I bought a 40% keyboard. 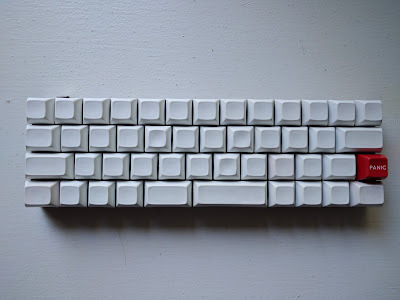 Some people might be wondering what a 40% keyboard is, it is just what you would think it is, it is 40% of the size of the standard 105 key layout. All the keys that have been removed are now stored in programmable layers. so for instance to make an exclamation mark I have to hold down, Fn1 + right shift + Capslock, this might seem insane but it is actually very intuitive after a week or so and now that I have fully adjusted I can hit any key without moving my fingers from the home row. Good-bye wrist pain! To be completely honest I did not think I would like using a 40% keyboard, especially as a daily driver. 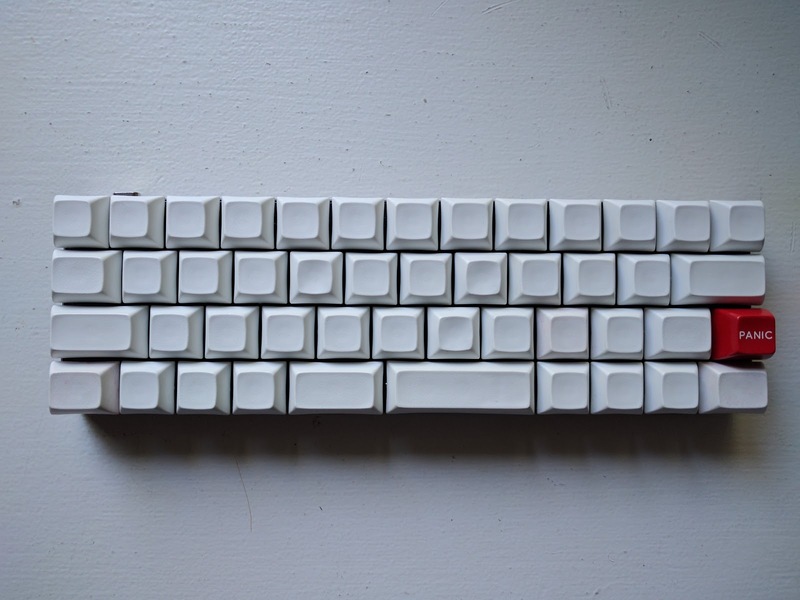 But after a week or two I found myself enjoying typing like seriously, typing is now fun and enjoyable. Alright now that we have gotten that out of the way, the point of this post is to share an AutoHotKey script that I have been running which allows me to control my mouse without actually having a mouse! This script was developed using the AutoHotKey programming language and was aimed towards a 40% keyboard but with some slight modifications, it can work on any keyboard. Please review the comments and adjust accordingly for a full-size keyboard. Here's the script in all its glory! ; Updated on June 22nd, 2017 by Matt Kerfoot. ^r::Reload ; Assign Ctrl-R as a hotkey to restart the script. I hope you enjoy it as much as I do! Any questions, just ask!